About the feet. Way back in 2006 I posted a thread (really a step by step walk through ) of the mods I did while making a kit-bashed Gerwalk fro a Hase. battroid and fighter kit. It was a similar pose as what you are attempting and i went with extending the feet up into the gap.You can check it out here and see what it looked like to judge if you want to try something like it. Just saw this and thought some here may be interested. Up for order at HLJ. From the Google translation of that page they appear to be reissues of the old 1:15 Imai plastic models due in May this year from Qingdao Bunka Tsukuba. The Hoquet is interesting 'cus that's a hard one to find in my experience. 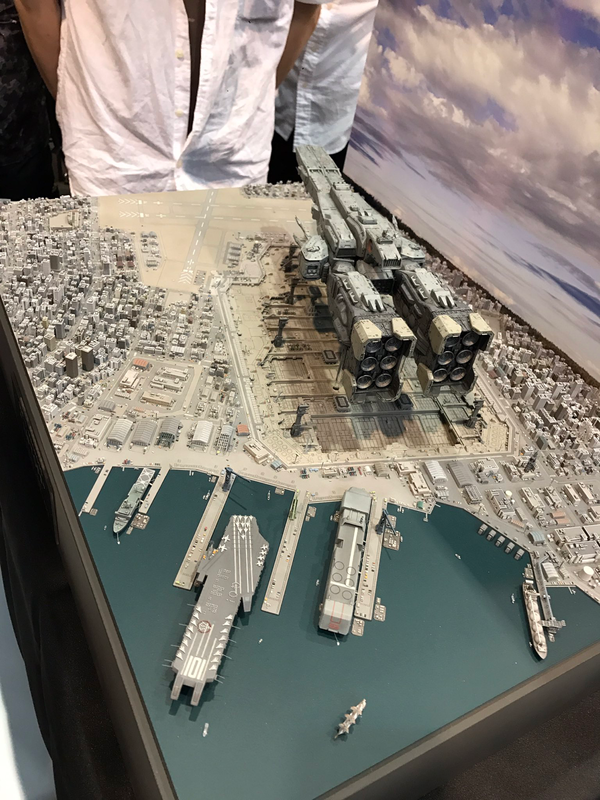 Off topic I know, but it's a shame that those A. S. BSG figures are the Tokyo 2040 Hardsuits only. Got a few ideas for modding the kit figure to proper size and proportions though so hopefully that works out. * Correction it's not the Tokyo 2040 suit it's the Bubblegum Crash suit. Some current listings on Yahoo Japan for anyone interested. The text descriptions have been posted at HLJ and indicate that it is a s the good Captain had indicated. Sorry for my brain fart earlier. It should have been clear - I'd just forgotten that these kits, at one time came packaged together. 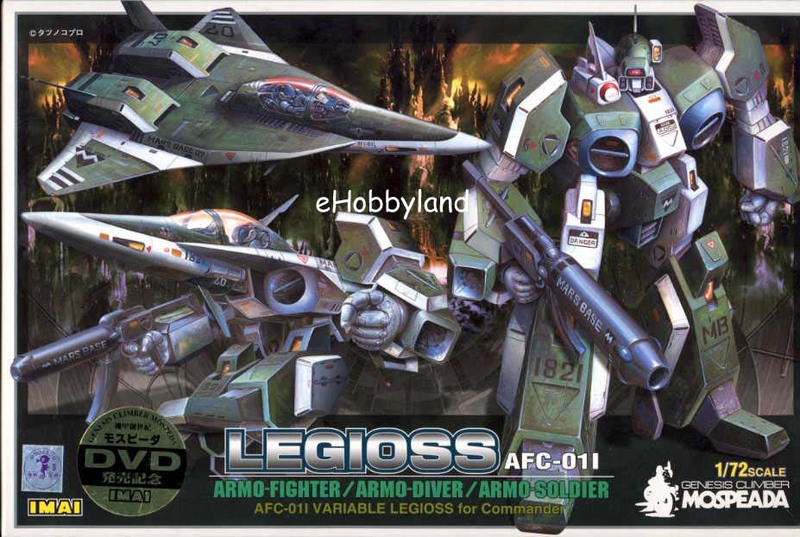 I see HLJ has also listed the 1:72 Legioss "Conversion Kit" re-releases, but erroneously using 1:48 kit photos. Here's a youtube vid to wet your appetites. Because the gun on the head is cast in gray you now have to paint the whole kit? Why not just buy a few bottles of cheap craft paint and try to mix up a match to paint the head-gun? It's so small you could probably get away with just dipping it. Try painting it white first and then trial and error til you get a colour you are happy with. Seems to me that would be the path of least resistance in this situation. Chas, I find its hard to avoid bubbles in the cast with small parts. Whats the solution? The recast part should look like the part that the mould was made from. If you make a mould from a melted beam saber then the recast part will look like a melted beam saber - except it will be made of epoxy putty, not soft, translucent, coloured plastic.